If you are a big coffee drinker like me, then you could likely spend a small fortune if you bought all of your cups of joe at local Starbucks and similar shops. Instead of curbing that java habit, you can purchase a machine to make your coffee at home. You can buy a regular coffee maker or you can opt for one of the fancy home espresso machines or cappuccino machines. When it comes time to shop for a home coffee, espresso or cappuccino machine, you will notice that there are a lot of different options available. You will find plenty of options for a low budget as well as a high one. With so many options, it can be overwhelming when trying to make a decision. To help you out, check out my list of the best options below. And I also suggest that you take a cue from me and make this year the one when you upgrade that cheapo machine to one that is top of the line. Life is too short to not be using the best when you love this liquid heaven as much as I do, right? Right! So, let’s get started then! better than the local bean shop! If you want to be able to make espresso and cappuccino at home, without having to own two different machines, then you need to check out the De’Longhi EC155 15 BAR Pump Espresso and Cappuccino Maker. It is our pick for top rated machine like this. This machine brews the espresso fast and has a swivel jet frother that ensures you make perfect cappuccinos and lattes at home. This De’Longhi EC155 15 BAR Pump Espresso and Cappuccino Maker features a high-quality stainless steel boiler and 15 bar pump pressure. It is known for its durability, which makes it a great investment for your kitchen for years to come. 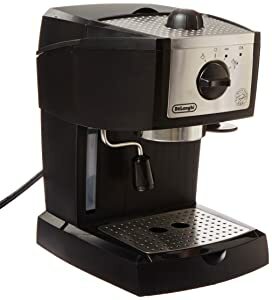 And the De’Longhi EC155 15 BAR Pump Espresso and Cappuccino Maker is reasonably priced for daily espresso drinkers who prefer to save a little cash by making it at home versus buying it at the local coffee shop. 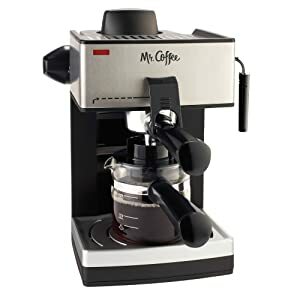 For people who just want to be able to make a little espresso now and then, the Mr. Coffee ECM160 4-Cup Steam Espresso Machine is the best choice. This durable machine has a low price and is actually quite a quality piece to add to your kitchen at home or at work. It even has a removable frothing piece that enables you to make some cappuccinos with the espresso machine. Sure, it doesn’t look like a high end piece of equipment, but for the money this is a nice little coffee machine. Since it looks a little cheap, I think it’s best for people on a budget. 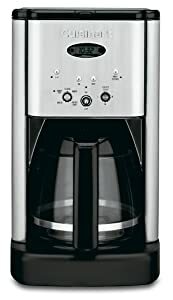 If regular joe is more your thing, then the Cuisinart DCC-1200 Brew Central 12-Cup Programmable machine is the best drip maker you can get. The carafe has a 12-cup capacity, which is plenty of the liquid gold for the family. Some of the best features of this happy making machine include the 24-hour programmable setting, gold tone filter for high quality, and auto shutoff. Plus, there are a few different colors that you can buy this one in. 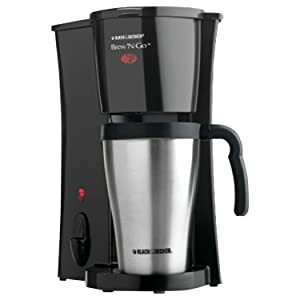 This coffee maker is consistently one of the favorites among coffee drinkers when it comes to machines of its kind and makes piping hot java for you in just a matter of minutes. A good price and a quick pot of coffee – what’s not to like? 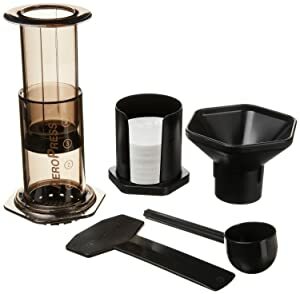 While it doesn’t exactly look like most French presses, the Aerobie AeroPress Coffee and Espresso Maker is one of our top rated of all those that are currently available for purchase. It has this bizarre look, which is actually part of the reason that it is so well loved. Plus, using a French Press is the cheapest coffee maker there is since many of the decent quality drip coffee maker options have higher prices than this cheap French press. You can use the Aerobie AeroPress Coffee and Espresso Maker to make a cup of joe or a shot of espresso. With a java making machine like this, you get a lower acid level in your drink compared to regular coffee makers. And that is certainly a good thing to have. It is surprisingly easy to use and after the first time, it will change the way you think about your morning cup of joe. Why? Because it will make the best cup of it that you have ever had. And that is what you will think each morning that you make a fresh cup…or two. 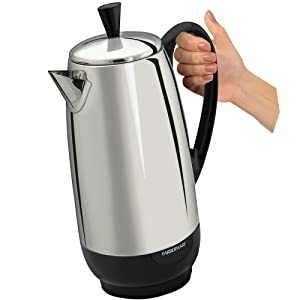 The most highly rated of all the percolators are the Farberware Percolators. In this line, you can choose from a 4-cup percolator, an 8-cup percolator or a 12-cup percolator. Other than the size and price, each one is basically the same. It is stainless steel and brews one cup of joe in 60 seconds! While some percolators are made for the stove, the Farberware Percolators are electric. And, they look really classy and elegant sitting in your kitchen. This is definitely the way to go if you want to impress your house guests. There is really only one name you need to remember when it comes to stovetop espresso pots and that name is Bialetti. 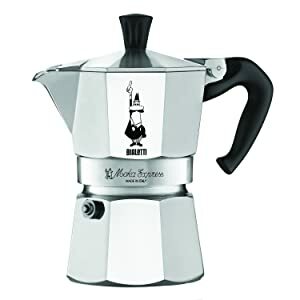 This company makes authentic Italian espresso pots and the Bialetti 6799 Moka Express 3-Cup Stovetop Espresso Maker is the highest rated of the bunch. You can get it in larger capacity though, if you need it. In less than 5 minutes, you can have three 2-ounce cups of espresso from the Bialetti 6799 Moka Express 3-Cup Stovetop Espresso Maker. It is made out of polished aluminum, which is quite durable. And, these things have a great low price since they don’t really have a lot of working pieces or any electronic bits. If you take your espresso seriously, like the Italians do, then you will definitely want to give one of these a try. Plus, it’s just plain cool to use. If you want a personal coffeemaker that will make just enough for your mug without the expense of coffee pods, then the Black & Decker DCM18S Brew ‘n Go with Travel Mug is a great choice for you. This little single serve brewer is cheap and seems to be high quality, even after daily use. It comes with a stainless steel mug and has a built-in feature, so you no longer have to deal with that expense as well. And you can use any java that you want with it, unlike those pod machines. BUT — if you are set on a pod machine, check out the Keurig B70 Platinum Brewing System as it is the best of its kind. Click above to get the full list of features. Once there, you can also read reviews, see some additional images and check out the current price of this item. This thing is great for people who want to grab a coffee on their way to work but need to stick to a budget. The travel cup that comes with it is perfect for grabbing on your way out the door to work. Nothing makes that pot of joe taste quite as good as when you have freshly ground beans to use for it. I had no idea what I was missing out on until I got myself one of these last year. Now, I cannot imagine making a pot without grinding the beans fresh each time. There are different types of coffee grinders on the market, so be sure to buy the best one for your coffee drinking needs. One thing that you will likely need with your new machine is some filters for it. There are round filters and cone shaped filters. Be sure to check which kind you need for the machine before you make the purchase. One thing to keep in mind is that you should avoid the white paper filters are they are bleached and can affect the taste of your brew. Instead, look for the brown ones that are unbleached.